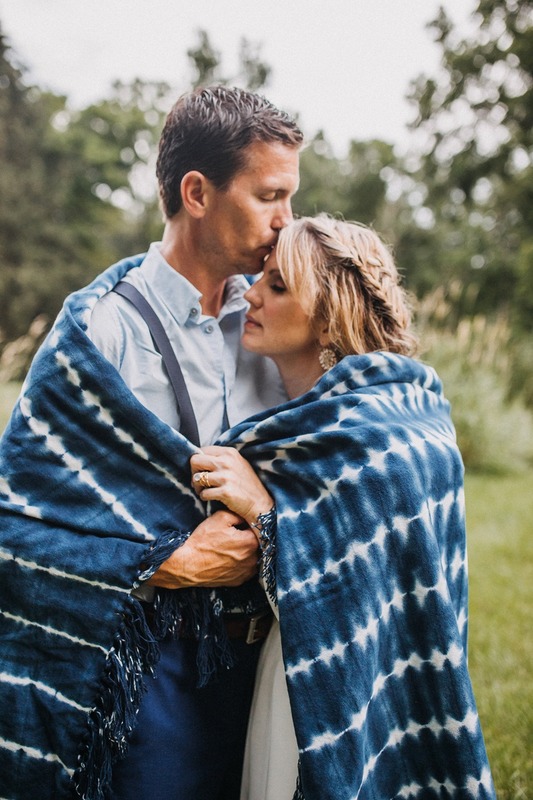 Joanna and Matt didn’t need to travel far and wide for their intimate 10 year anniversary. 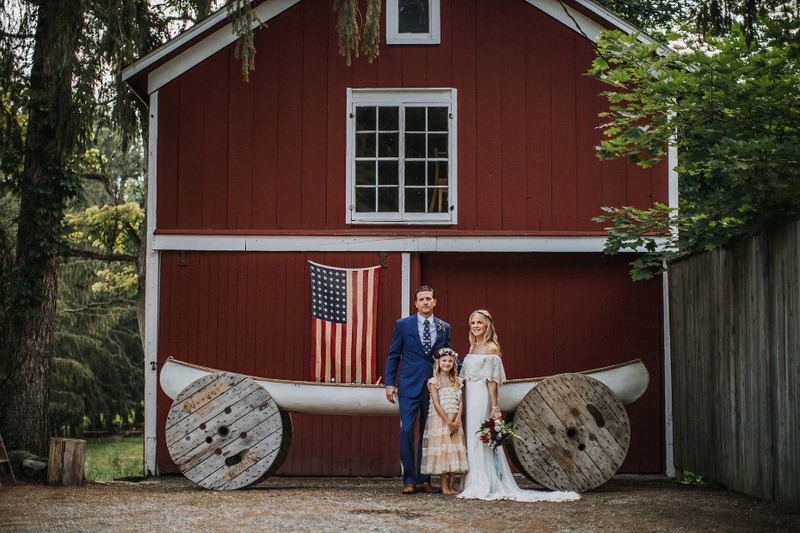 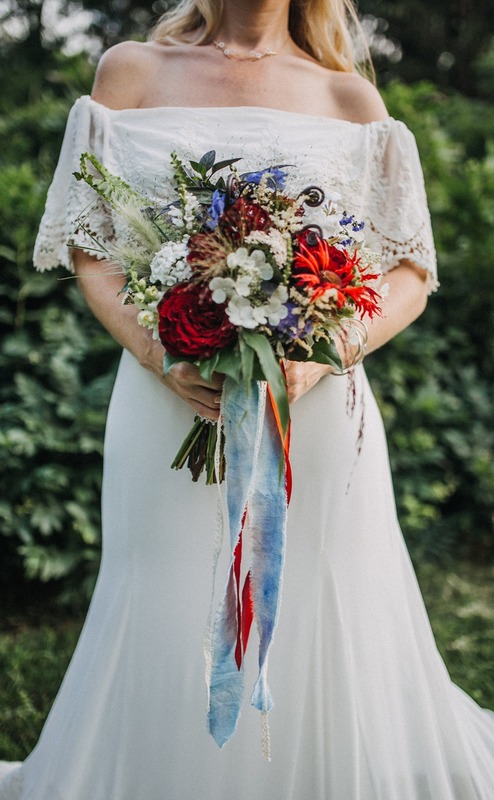 Their gorgeous home was the perfect location for their vintage Americana renewal in shades of red, white, and blue. 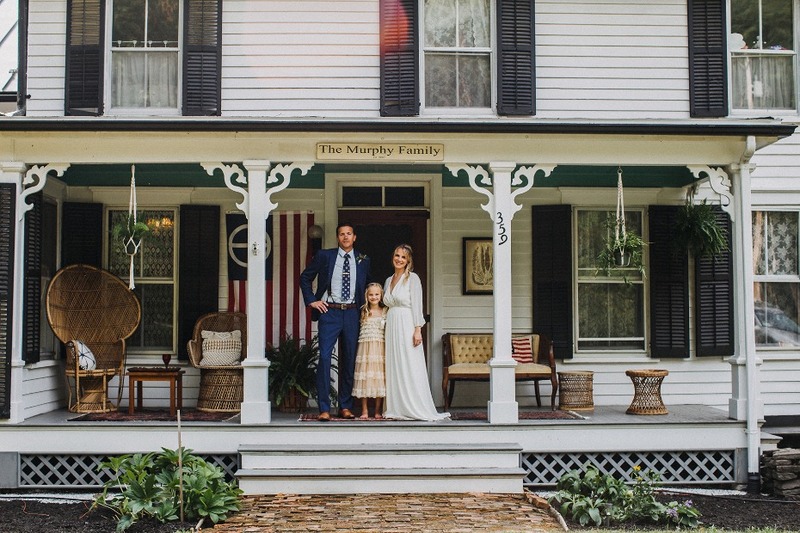 Founders of North Country Vintage Rentals, these two enlisted the help of Monica Relyea Events and Dawn Honsky Photography to capture this special day with just them and their daughter. 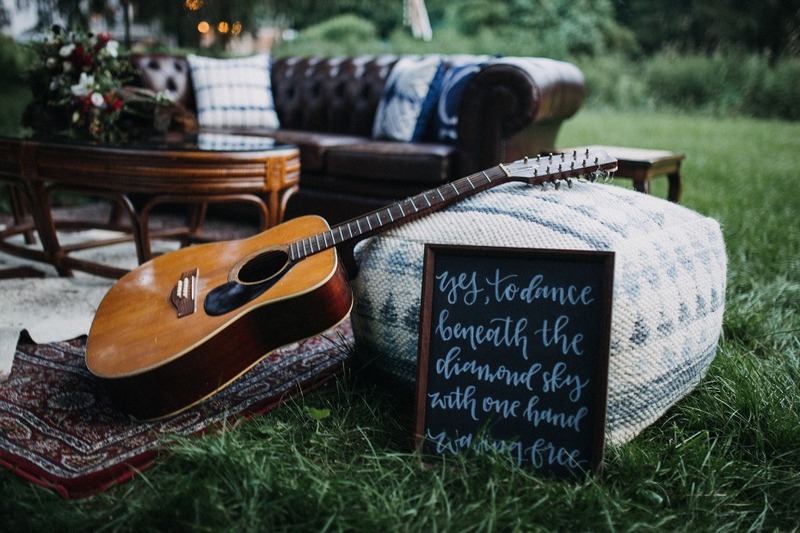 The sense of nostalgia in their vintage Americana design is undeniable, and we love how they included a nod to Woodstock and some of their favorite musical artists. 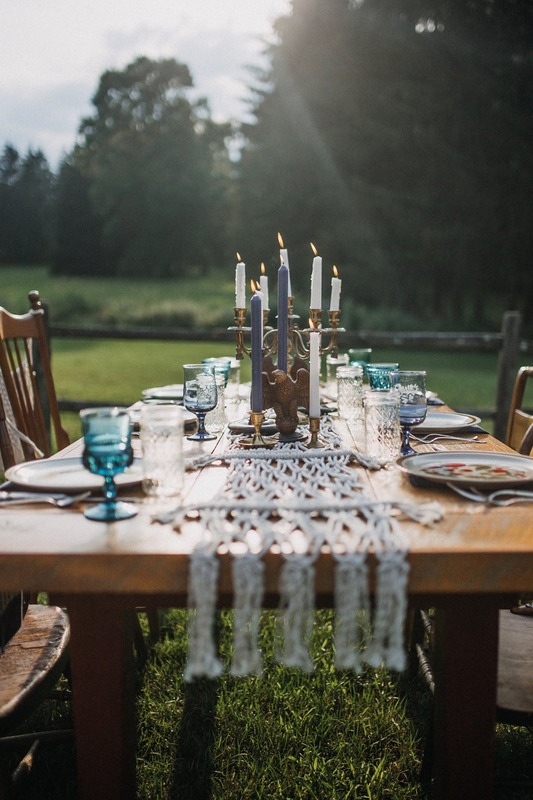 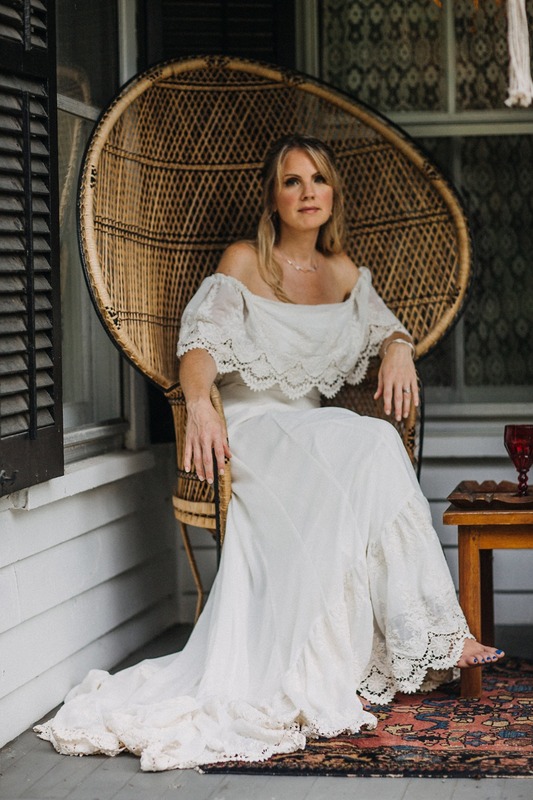 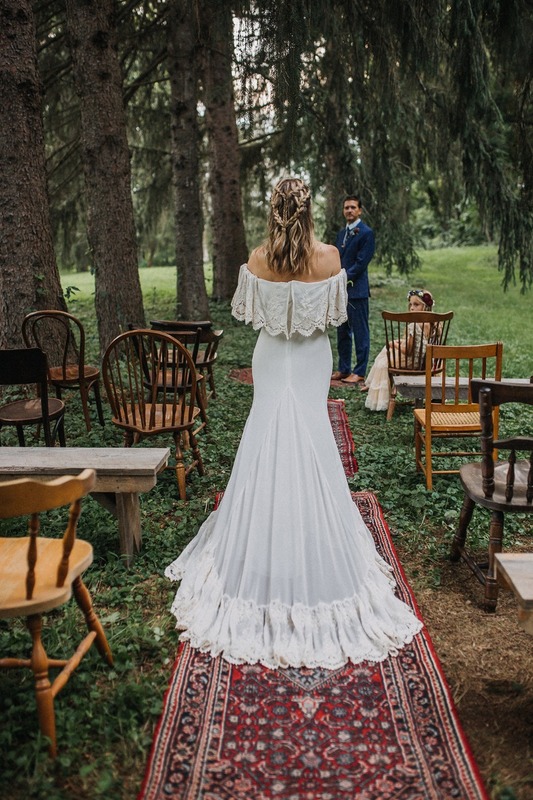 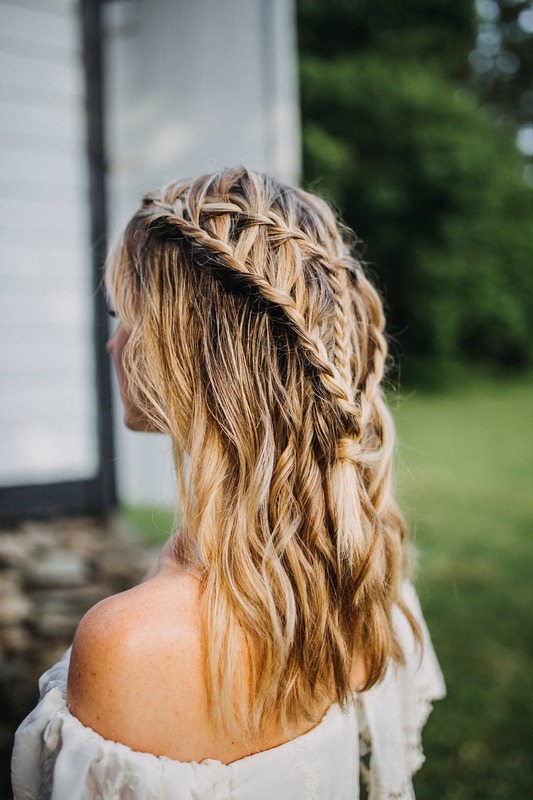 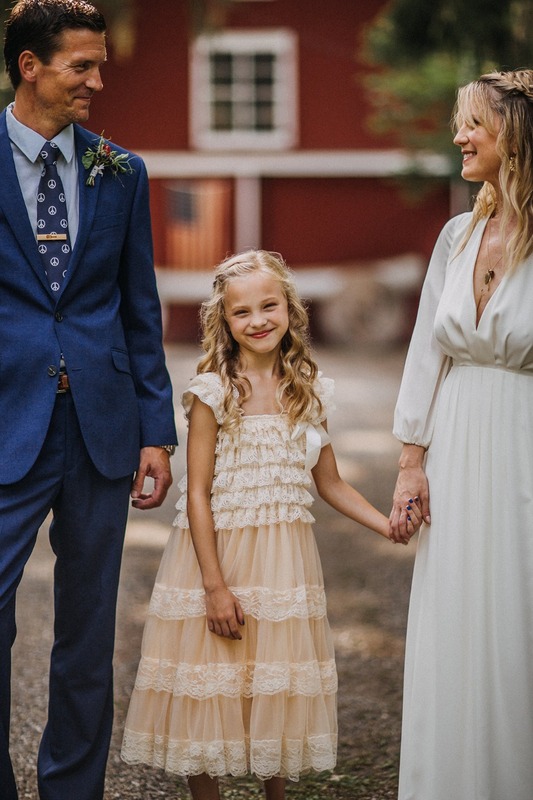 From their romantic vow renewal under the tall pines to Joanna’s boho-inspired dresses from Daughters of Simone and Elizabeth Dye, this day was styled to perfection. 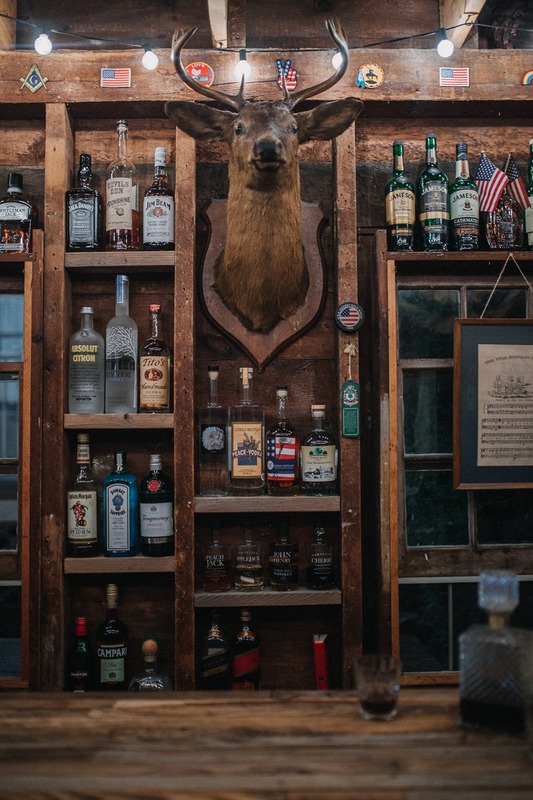 See it all below, and be sure to visit the full gallery for a closer look. 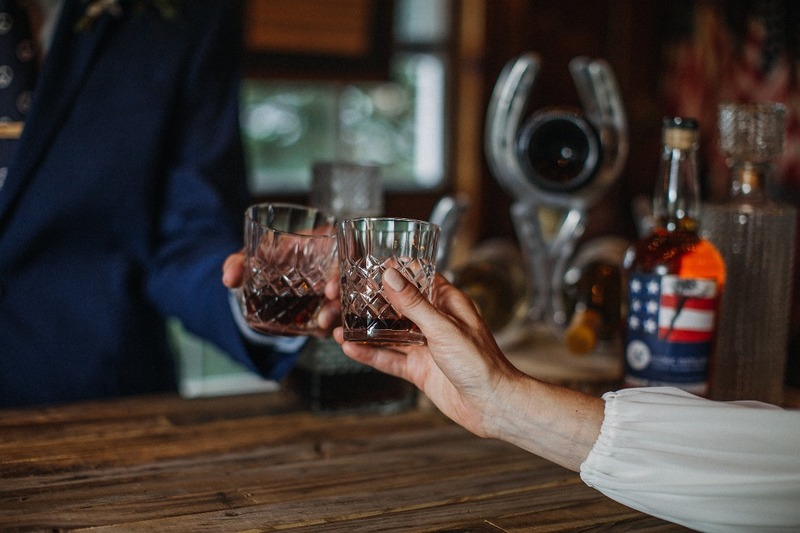 The couple enlisted the support of Monica Relyea Events and Dawn Honsky Photography to plan and capture their special event. 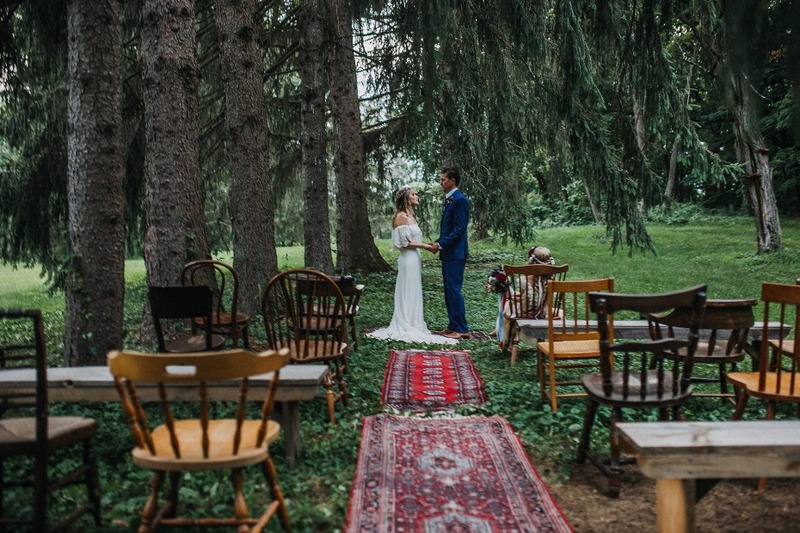 Celebrating at home made perfect sense for Joanna and Matt, who have an 8-year-old daughter named Clover Jane, a 4-acre property named Yesterday’s Pines, and a ton of design and decor at their fingertips. 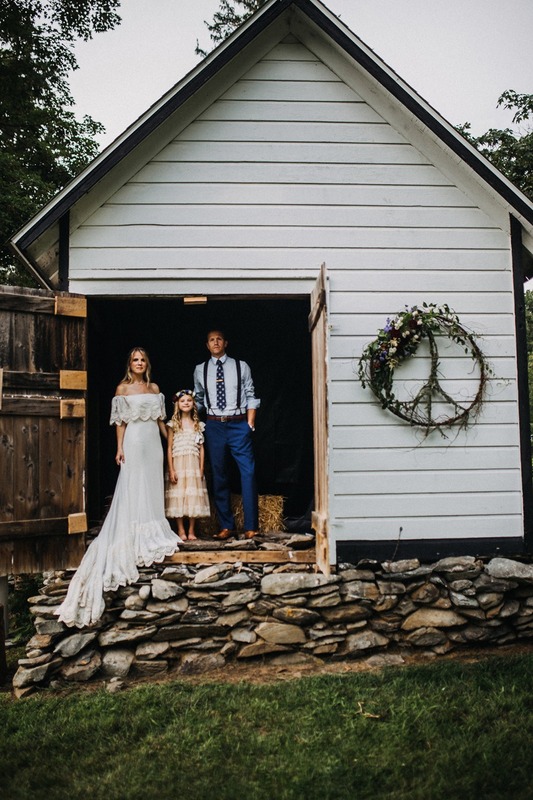 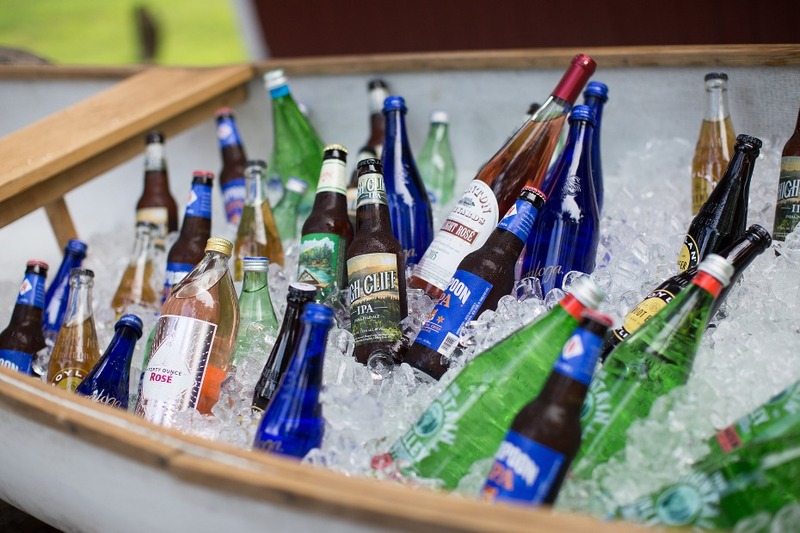 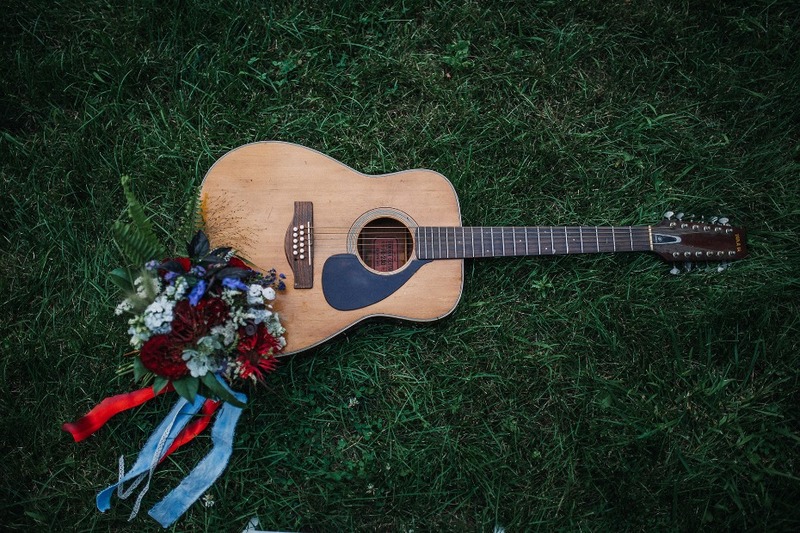 The theme was Americana with a nod to Woodstock and the music that has been a significant part of their lives together. 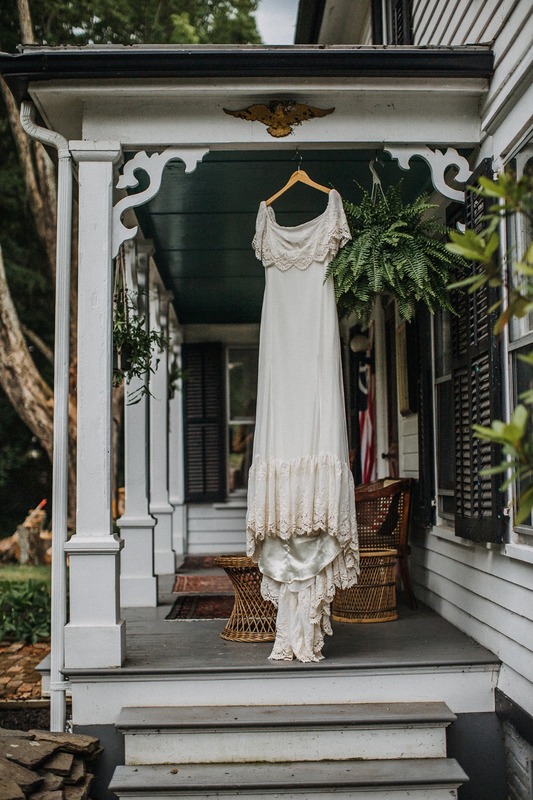 The white farm house with a red barn was set with deep red rugs and furnishings. 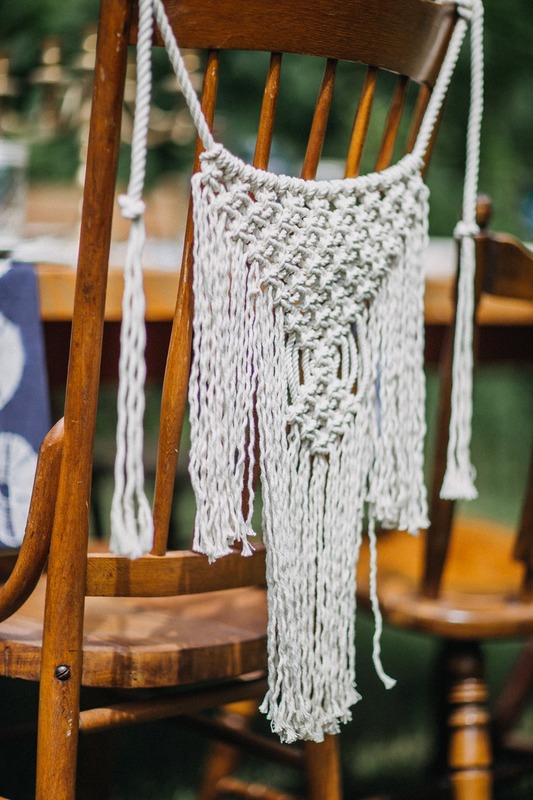 A white canoe served up bottled beverages, while macrame by Ohayo in nearby Woodstock adorned the dining table and mismatched wooden chairs. 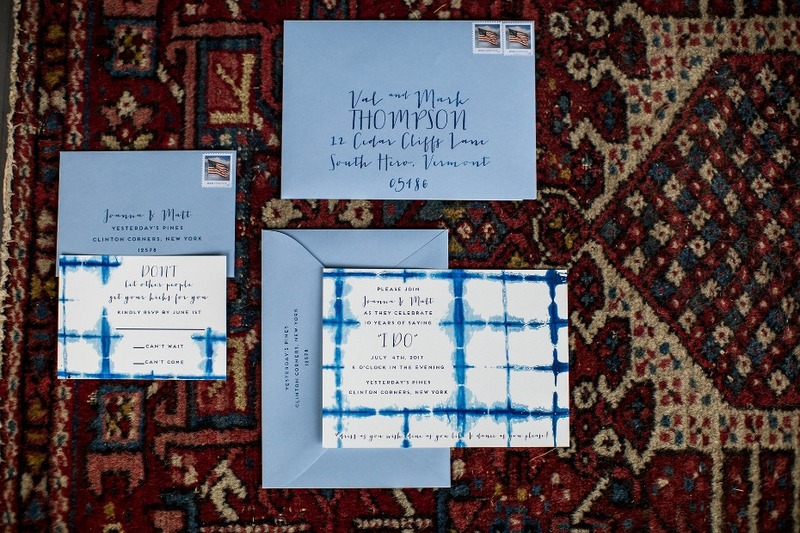 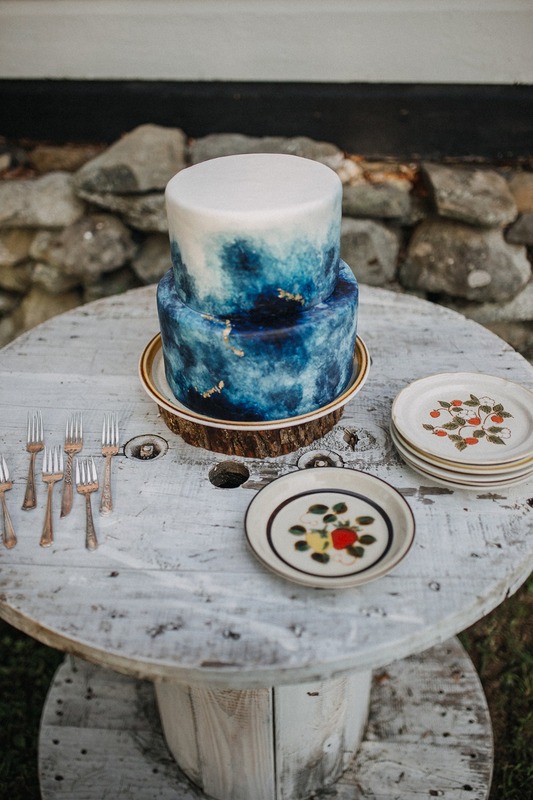 Shades of blue were infused throughout from the groom’s attire and blue vintage goblets to the indigo shibori fabrics, stationery by Amber Maxfield Design, and the cake from The Cakery. 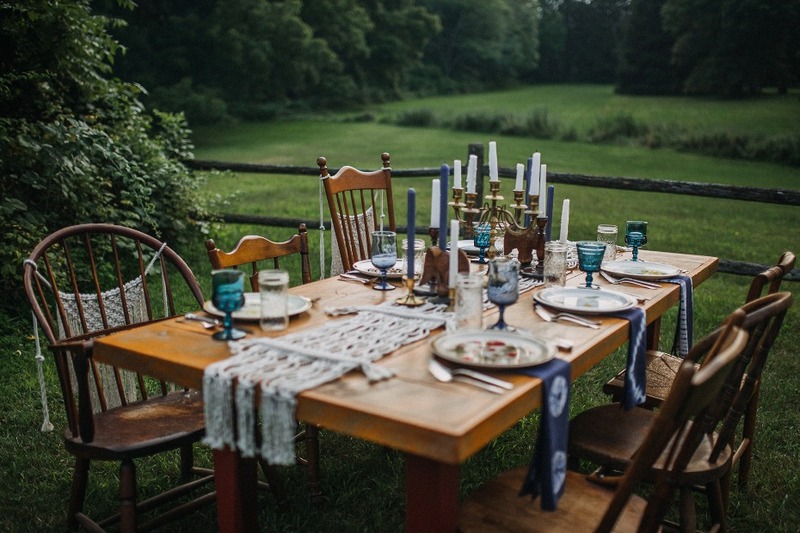 An intimate meal, lounging, and dancing followed. 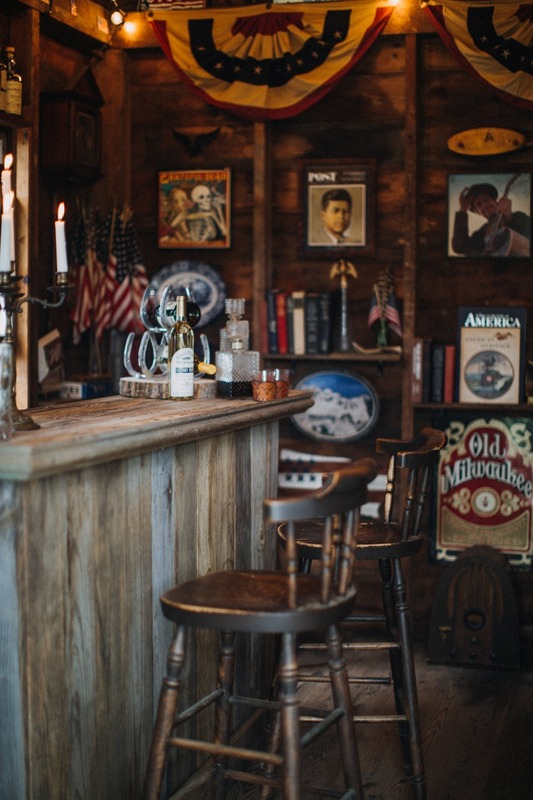 Later, Joanna and Matt toasted their 10 years together in The Colonial, the shed they converted into an American bar. 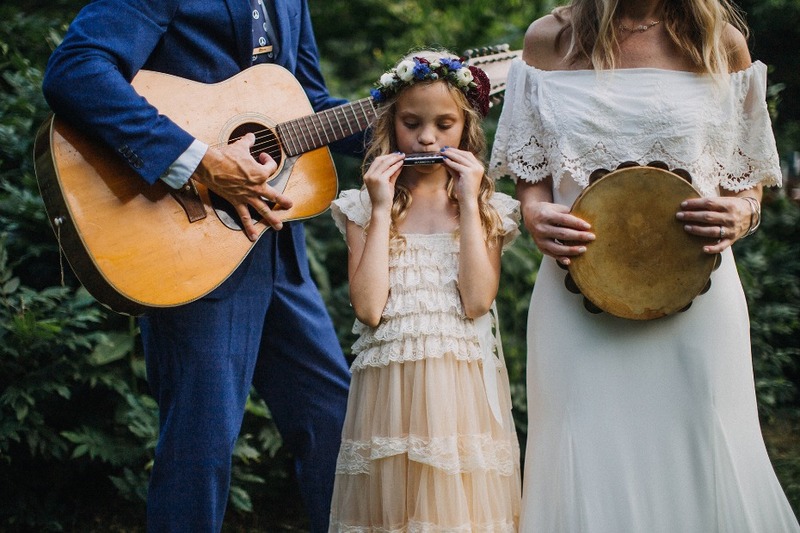 There is nothing like an at-home wedding celebration. 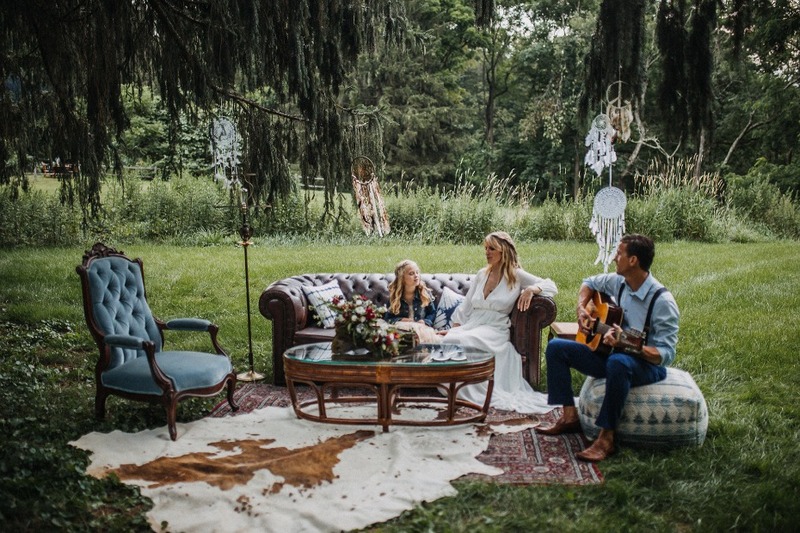 We made use of a variety of spaces on the property to show that a couple can create a truly stylish and memorable event in their own backyard with a bit of creativity and support of the pros.